While it's becoming increasingly clear that the US and China aren't trying to work out a "deal" on trade like Larry Kudlow and other members of the Trump administration have suggested - only to meet with denials from the Chinese - the White House isn't letting up on the pressure, Reuters reported. But the company admitted that, as of March, it had fired the four senior employees, but had not disciplined the 35 more-junior employees. The punishment comes shortly after Trump blocked Broadcom's takeover of Qualcomm on national security grounds. The US is fighting to safeguard its technology as companies build the country's 5G data network. Treasury Department officials had expressed concerns about Qualcomm's technology falling into Chinese hands. 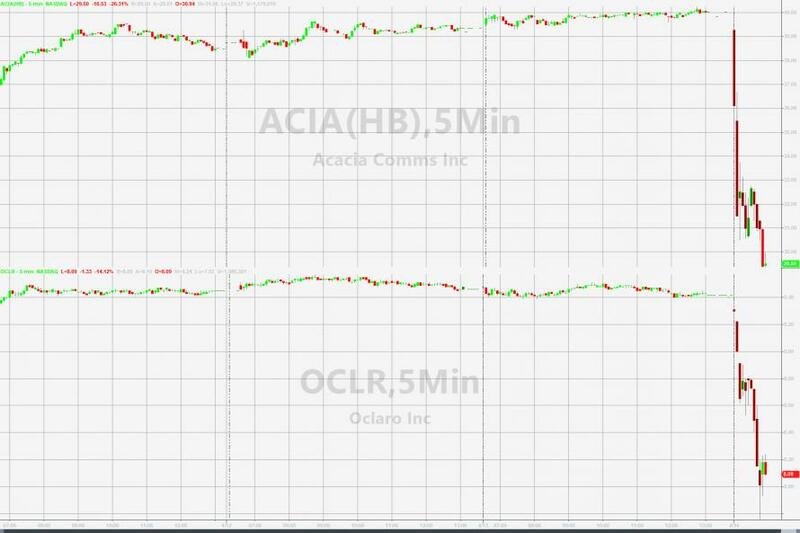 Shares of several ZTE customers, including Acadia and Oclaro, saw their shares plunge 15% and 25%, respectively, in early trade after the open.